My ZT Lunchbox amp developed a terrible rattle-like sound after I had owned it for a month or two. 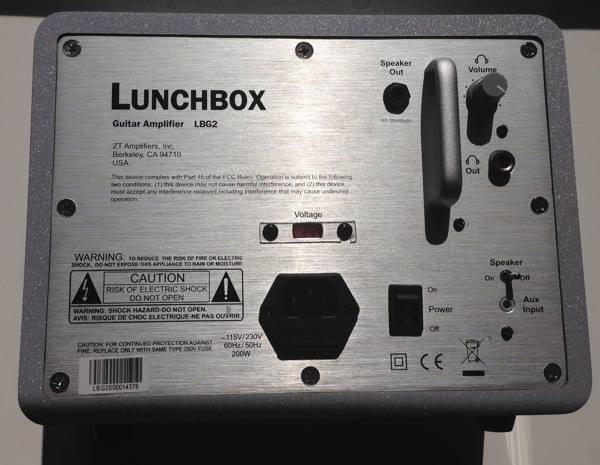 I reviewed the amp favorably when I first got it and then gave it a qualified report when the rattle developed. I corresponded with ZT who after some back and forth gave me an authorization to return the amp and they would take a look at the problem. Point #1 to remember is ZT offered to look at the problem and repair it if necessary. My Bad. I discovered the shipping box I had packed the amp in to return it to ZT wasn’t sturdy enough. And then I sort of lost track of getting the amp repaired. GIVE ZT a chance if you have a problem – don’t emulate me. I finally decided I could repair the amp on my own. In spite of the ZT technician writing me that they didn’t use nuts that could fall out on the handle, I was fairly sure a metal nut fell off the handle and was rattling in the case when I played my guitar through the amp. One clue was that the technician had asked me to make sure all the screw/bolts were securely tightened to eliminate rattles. When I got to the handle, one side could not be tightened – as if the nut was missing on the other side of the case. So I decided to open up the amp and see if I could find the missing nut. Point #2 to remember is you are probably going to violate the warranty by opening the amp. There are eight (8) machine screws that hold on the back access panel. I removed each of these. Then I pulled. ZT did an good job at sealing the amp. That is a good thing because it help eliminates rattle – the problem I was having. I had to pull really hard to get the back off even after all the screws were removed. When I got the back off, guess what I found? That’s the nut that is supposed to secure the handle to the amp cabinet. It is stuck to the speaker housing, held in place by the speaker magnet. I removed this nut then, worried the unsecured side of the handle would vibrate or the other side would loosen as the first had, I removed the other screw to the handle. 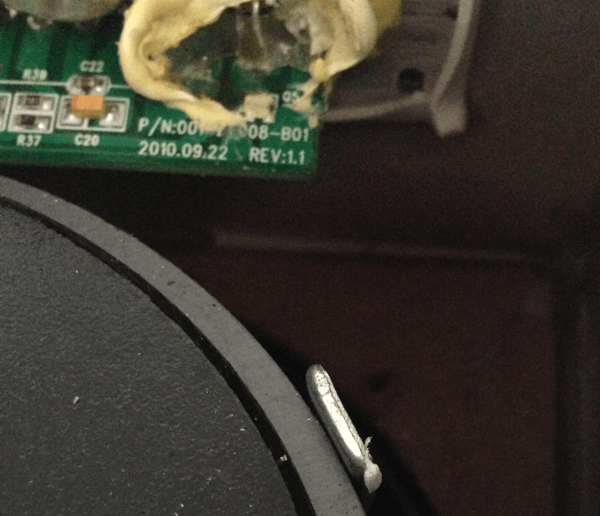 The nut fell into the case but was captured by the speaker magnet as the first had been. I couldn’t reach the location of the handle bolt holes to position the nuts and re-attach the handle – and worried that the bolts might come loose again. When I reassembled everything – made sure all the screws were tight – and played the amp sounded much, much better. But not perfect. I still get a very slight rattle when I play certain notes. I may have broken all the great sealing and packing they had put into the amp. Right now I’m trying to cushion the wire harnesses from vibrating against the case or other parts by wrapping them or stuffing the case with polyester batting. But even if I can’t solve this minor rattling, the rattle from a flat nut vibrating on the speaker magnet was awful and made the amp unusable. I might be able to live with this less annoying rattle – though I’d like to get it fixed. The ZT technician who had emailed me was wrong about how the handle was secured. The flat nuts – sort of a speed nut – were not glued and were not secured. I don’t know if this was a manufacturing problem where the screw had never been tightened properly and thus was able to work free due to vibrations – or whether this was a poor design. Indeed, it is possible that they’ve already changed the design and that’s why the ZT technician didn’t think a nut could fall off. Regarding the return of the amp to ZT – I usually save packaging from guitars and amps – at least for a time. For some reason it never occurred to me that this little ZT Lunchbox Amp could fail and I discarded the packing material it had come in. That was a mistake. I’ve sold items on Ebay and know the importance of proper packaging. You don’t want your item to arrive at it’s destination damaged in shipping. I couldn’t find a good substitute box and packing material that would secure the rather heavy for its size amp. Lesson learned. SAVE the packaging. Your description is really helpful. Mine is losing gain intermittently so lm opening it up. Good to know about the sealing. I bought one second hand that had a rattle when I cranked the volume a bit. Finally tracked it down to the fuse! It was loose in the holder. A small piece of electrical tape on the glass, rattle gone! Hi Dan! Great article! Do you have any idea what brand and type of speakers are working in these combos? I don’t remember for sure but it is probably (most likely) an Eminence Alpha 6A, 200 watt speaker. 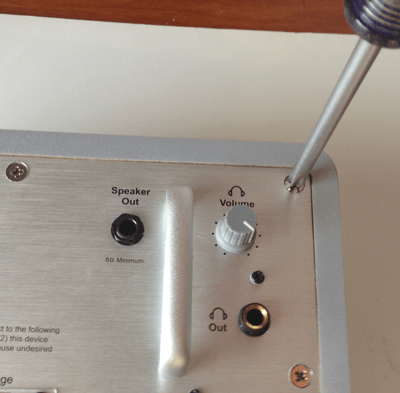 Hi, do you know which impedance of the speaker is required, 4 Ohms or 8 Ohms?